Expose to show off naturally beautiful and radiant skin, which is available through a cleaning kit Remington REVEAL. Get ready to show off naturally glowing and beautifully clear skin with the Remington REVEAL Facial Cleansing brush. 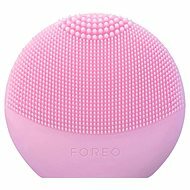 This round beauty tool uses advanced cleansing technology with deep cleansing action to thoroughly cleanse the skin and gently remove any impurities that are trapped in the pores. Not only does this effectively cleanse the skin, it also helps the absorption of skincare products to ensure they work their best. The Remington REVEAL Facial Cleansing Brush features a slim and wireless design making it comfortable to hold and easy to use. The brush head features dual action rotating and vibrating technology to optimise the cleansing process. 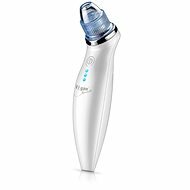 In addition, this beauty gadget comes complete with a one-minute timer, which gently pulses every 20 seconds to help you move from one area of the face to another for deep, thorough cleansing of the skin. With three speeds, you can also select your preferred setting to ensure you are in complete control at all times. Choose one of three cleansing speeds and be in charge of your cleansing brush. For convenience, LED lights around brush head give a soft glow onto the skin whilst cleansing. The brush is showerproof so you can use it while taking a shower. You can get up to 30 uses on one charge. This facial cleansing system comes complete with a choice of three brush heads. The Normal brush is ideal for everyday deep cleansing, a must have for any beauty tool. 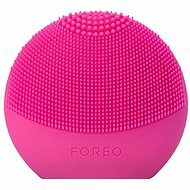 There is also a Sensitive option; ideal for sensitive skin this brush delivers gentle daily cleansing. Finally we have a Massage attachment, best for deep cleansing and revitalising dull, tired skin. These three brushes are all you need to reveal beautiful, radiant skin. Chcete doručit zboží do Česka? Prohlédněte si Remington FC1000 E51 Reveal Facial Cleansing Brush. Chcete doručiť tovar na Slovensko? Prezrite si Remington FC1000 E51 Reveal Facial Cleansing Brush. Für Versand nach Österreich, besuchen Sie bitte Remington FC1000 E51 Reveal Facial Cleansing Brush. For shipping to the United Kingdom visit this page Remington FC1000 E51 Reveal Facial Cleansing Brush. Magyarországra történő kiszállításért tekintse meg ezt a termékoldalt: Remington FC1000 E51 Reveal arctisztító kefe.